Our dinner last night was perfect except I totally screwed the pooch on the bread. It's no secret that I have shied away from baking breads. While everyone has been into the HBN5 bread making craze, I sat idly by like the awkward teen at a school dance. Well yesterday, I got the nerve up to ask "her" to "dance" and "she" laughed in my face. For the first time ever, I decided to make fresh yeast rolls for our roast beef dinner. Alexis and I were making it together. 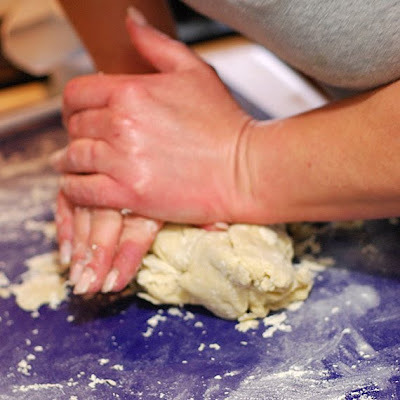 We mixed the ingredients and took turns kneading the dough, since we don't have a stand mixer yet. I kept saying it felt like the dough was too dry but we persisted. We let the dough rise for an hour and as we got to the point of dividing the dough (about 1 1/2 into the effort), I looked at the recipe and realized that both of us had failed to put the two eggs in at the beginning! DOH! Oh well, I just laughed it off. 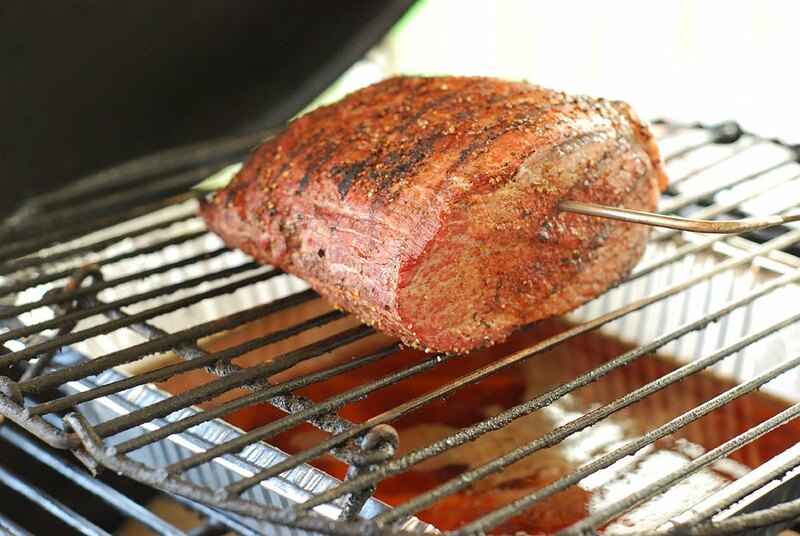 This is my favorite way to do roast beef. 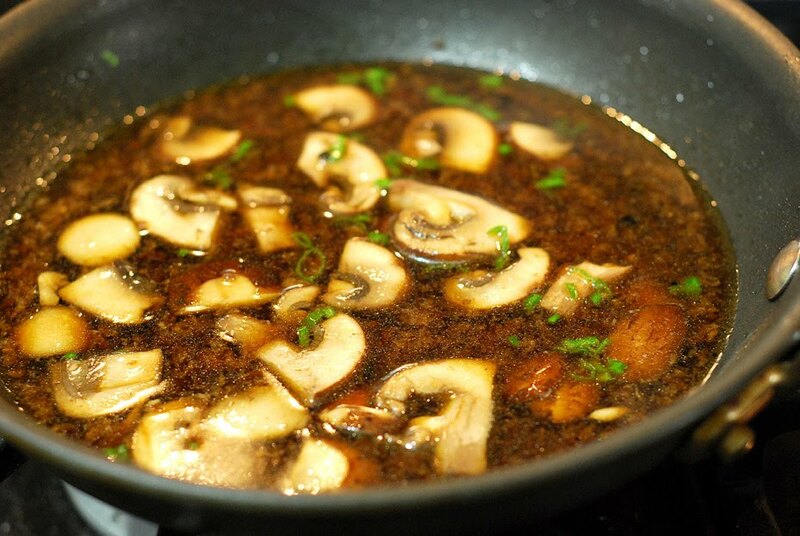 Cooking it over a steam pan with stock catches the drippings and makes an au jus that can't be beat. You could convert this same process to the oven, just pan sear the roast before putting it in a 250f oven. 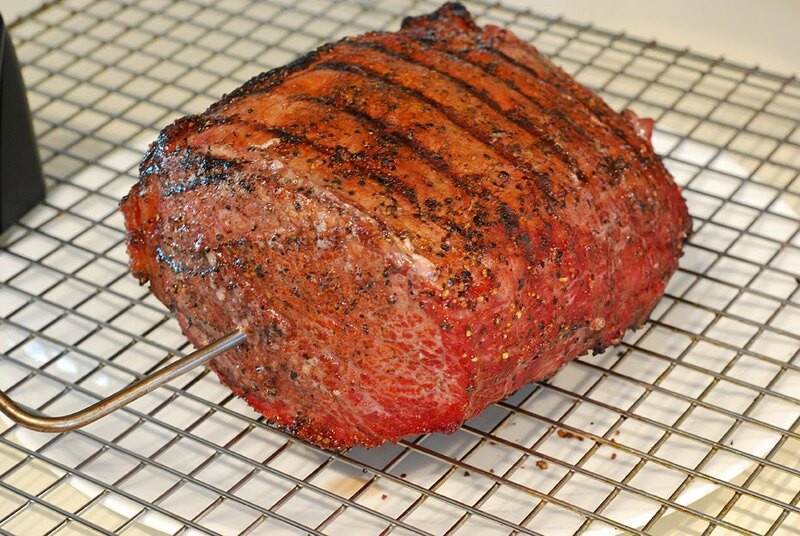 Roast Beef with "Baby Bell-au-jus"
Rub the roast with the seasoning and let sit at room temp for 1 hour. Bring your grill to 450f. Sear the roast over direct heat for 1 minute per side. Reduce heat to 250f. Switch to indirect heat (plate setter "legs up" in the Big Green Egg) and place the roast over a 1/2 steam pan filled with the stock as shown. 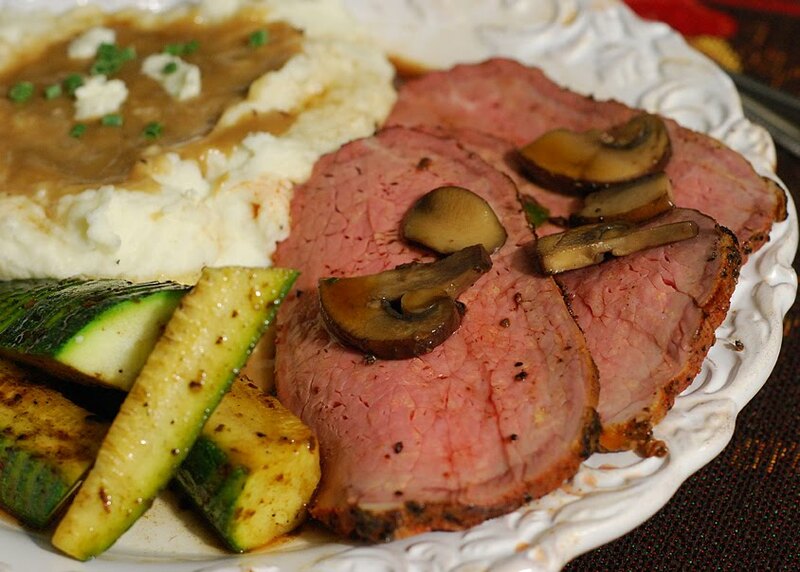 Cook until the roast reaches an internal temperature of 140f. This took roughly 1 1/2 hours yesterday. Let the roast rest for 15 minutes AT LEAST before slicing. Here's a tip I got from Rouxbe Online Cooking School: Rest your roasts on a raised rack and wait 5 minutes before tenting with foil. 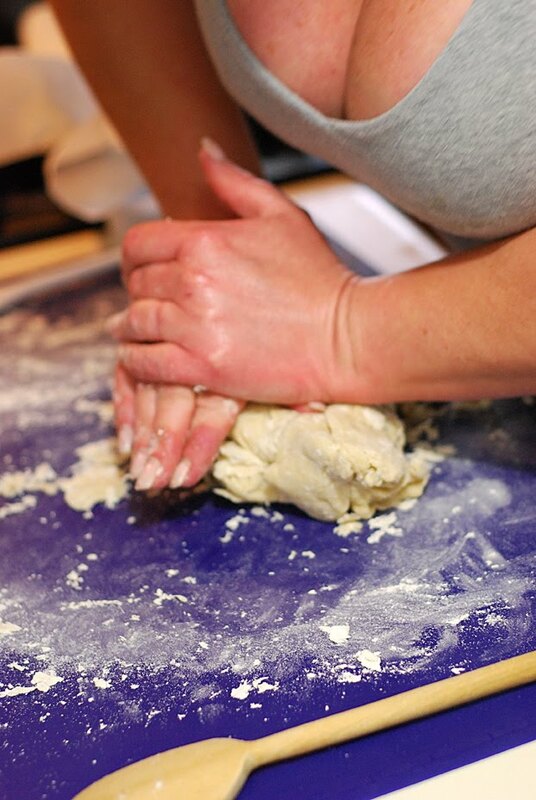 Leaving it flat on a plate or wrapping it in foil tightly causes the fibers on the edges to open up and release juices. I tried it and this seems to be true. 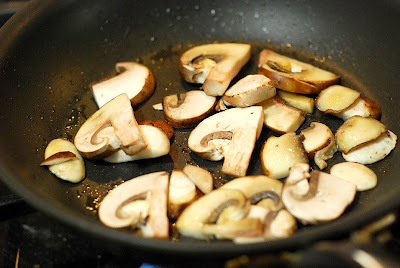 While it is resting, saute the mushrooms in clarified butter for about 5 minutes. Add in 1/2 of the au jus from the steam pan (save the other half for making gravy for the mashed potatoes) and the green onions. Bring to a simmer for a minute or two and then taste for seasoning. Add salt and pepper if needed. Thinly slice the roast beef and ladle the baby bell-au-jus over it. It was pretty fantastic (being modest).